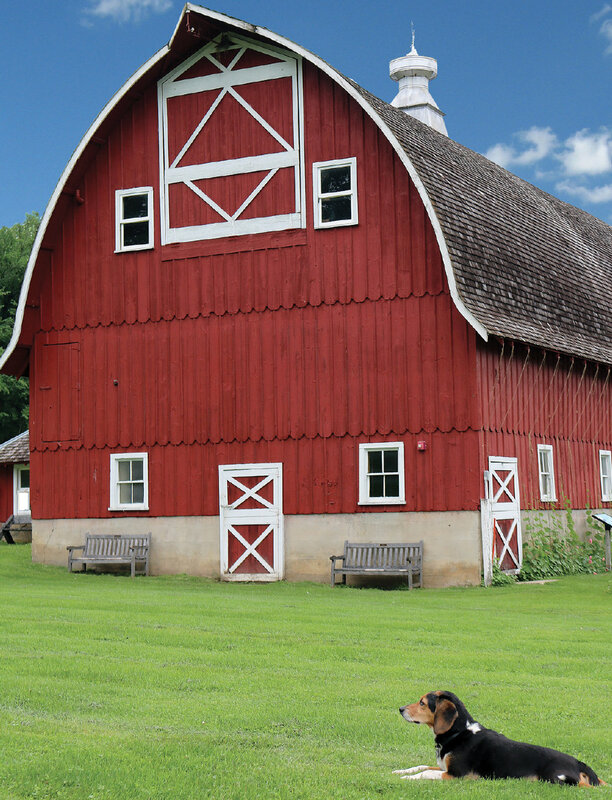 Barns are a part of not only the American landscape, but also our collective memory. They connect us to an agrarian tradition that defined our farming forebears, from Thomas Jefferson and Wendell Berry to Laura Ingalls Wilder and George Washington Carver. Each barn we pass on rural roads today holds the story of a different experience and has a unique history to tell. As we travel the countryside and glimpse these barns, they lure us in with a promise of tales of the past at the same time that they attach to our hopes for our nation’s future—a thought that is sometimes unfortunately sobered by the dilapidated condition of many collapsing barns across the nation. As the director of Seed Savers Exchange, I have the pleasure of being greeted by a grand one each morning and evening as I head home, the barn on the lower campus of Heritage Farm. And while I know about its use in the present and in its almost 40-year history as the symbol of our organization (and as the site of a good portion of our seed-cleaning operation), I have often wondered about its role in the lives of those who inhabited Heritage Farm before it became our headquarters and wished I knew more of its history. As luck would have it, this winter my questions were answered. A note came across my desk from Lois Halse Schroeder of Port Angeles, Washington, wondering about her family’s farmstead. In her note, she shared her love of the farm of her youth. (The barn and house were built in the 1920s by her parents after the previous structures were destroyed in a fire.) Lois’s request was simple: she wanted to create a plaque to commemorate her family’s time on the farm, a place that she thought of often from her home in the Pacific Northwest, and that, like many of our childhood homes, held a magic for her that has stayed with her throughout her life. I wrote back excitedly and asked if I could visit her the next month when I was in Seattle giving a talk at the Northwest Horticultural Society. I was ecstatic when she agreed to meet. When we met, the stately Iowa transplant shared with me her memories of the farm, the house, and the barn which was the epicenter of all of the activity of her family. She talked about the dairy cows and the milk-shed to the side of the main barn, the equipment which lined the walls in an orderly fashion, and the Sunday suppers on the lawn that overlooked the barn, a respite from the six days of hard work that her family performed as they ran their operation. As she told me tales of gardening and farming, and of bringing hay into the loft, I was taken back to a simpler time, when values seemed straightforward and the task at hand sat squarely in front of us. Her stories reminded me of the work that we do here at the farm each day, preserving what we value: the seeds of heirloom varieties and the apple trees in the orchard, of course, but also the memories of who we are and what we hope to leave for the next generation. As we begin our campaign to reroof the barn and care for its façade—this work was last performed three decades ago, in 1988, when the children of our cofounders, Kent Whealy and Diane Ott Whealy, were still kids (in fact, the family’s handprints are preserved in a concrete step on the barn’s south side)—it is these thoughts of stewardship and a connection to the past that I hope we can use to build a framework for a future as positive and alluring as the one that Lois Halse painted for me in her living room in Washington State. The Whealy family handprints preserved in a concrete step by the barn at Heritage Farm. You can help restore the barn at Seed Savers Exchange. Donate to the barn campaign and your gift will help fund critical repairs that will help ensure the barn stands for years to come.